509 Central Avenue, Hillsborough, NC.| MLS# 913899 | North Carolina Farm and Vineyard Specialist Patria Properties Inc.
Adorable one-story home, convenient to the highway & Historic Downtown Hillsborough! 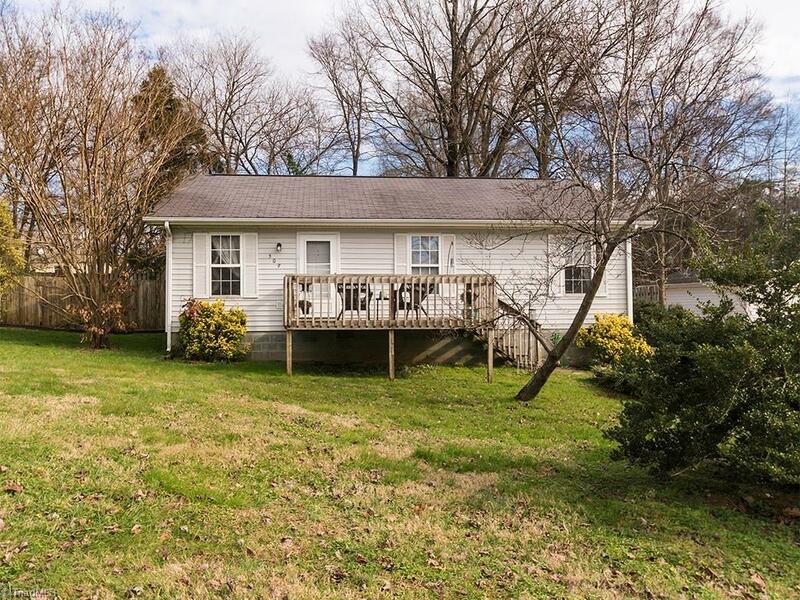 This 3 BR, 2 BA home sits on just over a quarter of an acre with a fenced in backyard and storage building. Open kitchen with dining area, oak cabinets with lots of storage space and black appliances. Table and chair raised front deck and newly added wood back deck off of kitchen.